The GX 460 is offered in three trim levels: GX 460, Premium and Luxury. There's a single powertrain on offer in the GX 460, providing a strong 301 hp, enough for those who need to tow or just run errands. A full-time 4-wheel-drive system is standard on the GX 460 which includes a Torsion limited-slip center differential and an electronic locker to help with mud, sand, or snow. An automatic mode for most driving sends about 60 percent to the rear wheels and can vary power distribution to help gain needed traction. The adaptive variable suspension system that comes with premium models includes Normal, Sport and Comfort modes, while the adjustable height control helps keep the vehicle level when towing. For those who plan to venture off-road, the standard Kinetic Dynamic Suspension System uses hydraulic pressure to help keep the body stiffer and more level on the road yet allow more wheel movement during off-roading. The GX 460 comes with a full complement of ten airbags. Vehicle stability is maintained by a suite of systems. The usual stability control and brake assist improve on-road behavior. Crawl Control and Downhill Assist Control helps maintain poise and traction when moving over challenging terrain off-road. More advanced available safety-tech features include Lane Departure Alert, which will alert the driver if they were to wanders out of a marked lane. Inside, the GX 460's interior is spacious but with a truck-like feel. The sitting position is rather upright and provides a good view to the front. Front-row captain's seats are very comfortable and supportive, while the second row is adult-sized and can slide fore and aft by several inches. A diminutive third-row adds two more seating positions. The GX's rear hatch opens to the side, rather than upward. The interior of the GX is awash with leather upholstery, heated and ventilated front seats, a power moonroof, driver's seat memory and dual-zone climate control. A 9-speaker sound system is also standard on the GX that includes Bluetooth connectivity, SiriusXM satellite radio and 2 USB ports. A display screen with trip computer and rear back-up camera display are standard. The GX 460 Premium includes perforated leather seats, LED fog lamps, Bluetooth, navigation, a backup camera, heated and ventilated front seats, 3-zone climate control, heated second-row seating, rain-sensing wipers and a navigation system. Blind-spot monitoring with cross-traffic alert is available, as is a Parking Assist system. The Luxury trim includes the Parking Assist system and Blind-Spot monitoring, navigation, leather seating and ventilated front seats. A Driver Support package is optional, and includes a Driver Attention Monitor, Dynamic Cruise Control and Lane Departure Alert. The audio system can be upgraded to an audiophile Mark Levinson audio system with 17 speakers and 7.1-channel surround sound. For the back seats, a dual-screen DVD entertainment system can be added. The GX 460 features tough body-on-frame construction, an asset for buyers who tow regularly. With the seats folded down, the GX can carry up to 65 cubic feet of cargo. Lexuses are known for their luxurious interior and the GX is no exceptio — eather abounds, and many luxury-style features are available including heated and ventilated seats and a 17-speaker Mark Levinson surround audio system. The GX also features the latest in safety technology. 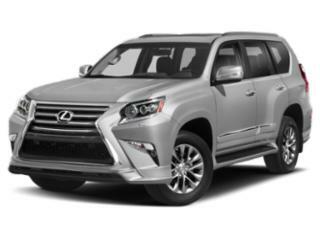 The Lexus GX continues into 2019 mostly unchanged, however a few new optional features have been added along with a slight expansion to the vehicles standard safety features. Lexus Enform Safety Connect and Service Connect now come with complimentary access for 10 full years, while Lexus' Enform Remote, which can connect to smartwatches, is now standard. New features include a blind spot monitor with rear cross traffic alert as well as a "NuLuxe" interior trim option for the seats.